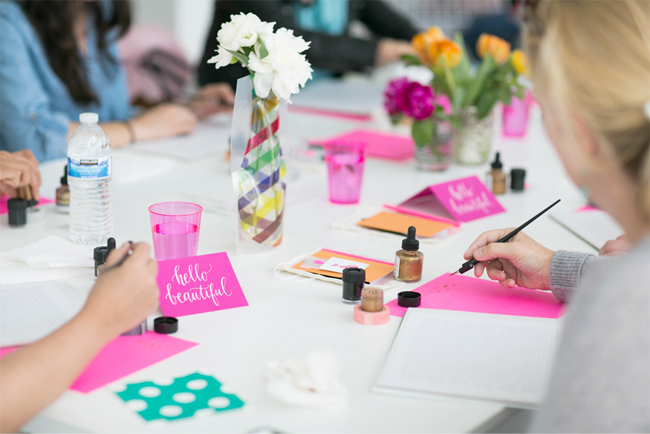 What started as a small group of students around my dining room table five years ago has blossomed into monthly calligraphy parties that fill up in a jiffy. 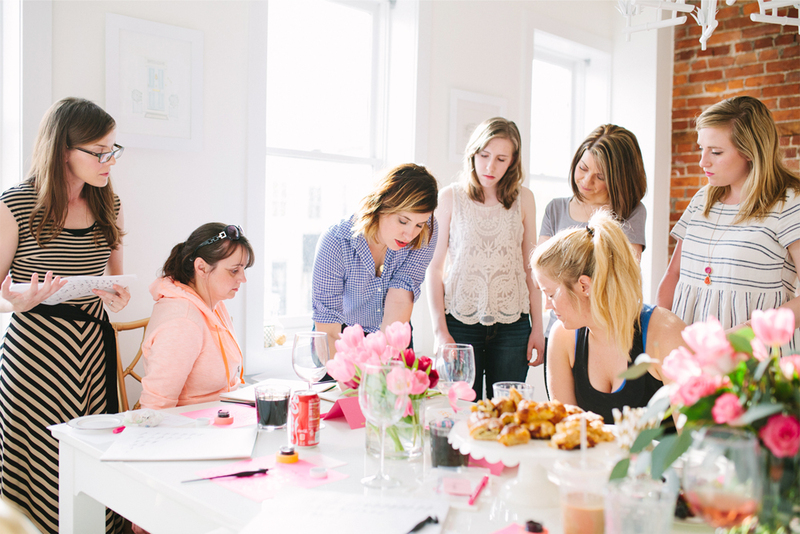 I lead classes on creative adventures with a modern approach to pointed-pen calligraphy. Instant friendships with fellow classmates and glasses of bubby help unlock the door to your creative side! If you’ve never picked up a calligraphy pen before, this is the class for you. Basic skills are introduced, such as dipping your pen in ink, understanding ink flow and pressure, basic script lowercase letter forms and developing your unique lettering style. This class is intended for those who have already taken the beginner class or taken a course in the past using an oblique pen and pointed pen nib. 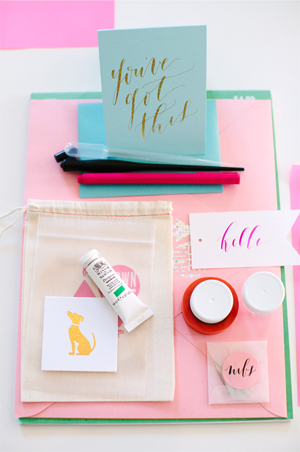 Classes focus on the uppercase alphabet, using colored inks and mixing gouache, writing words and connecting letters, and touching on addressing envelopes. Classes are held at Blue Eye Brown Eye’s Fort Worth studio and typically run between 2.5 and 3 hours. New dates are released about a month out, so join the email list to stay in the loop. Payment for classes is due up-front and is non-refundable or exchangeable. For availability, click the register here link next to each class listing. If a date you are interested in has sold out, please sign up for the wait list on the register link!